She missed the war, but sheâ€™ll be damned if she loses her chance for revenge. Ten years after fleeing Arcadia to save her life, Arryn is all grown up.Â She spent the past decade in the Dark Forest with the druids, training in warrior combat and battle magic. Now that Arcadia is safe and Arryn is more than capable of taking care of herself, she decides to go back in order to search for her father. The only problem is that the city she once called home isn't safe at all. She won't rest until the wicked are dead and the innocents are finally able to rise from the darkness. 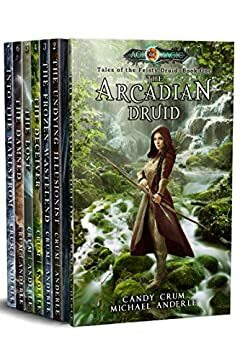 Set on the foundation laid by the Kurtherian Gambit Series, Tales of the Feisty Druid tells aÂ new story in the Age of Magic--and ofÂ the heroes and villains who battle for control of its destiny.